There's enough going on in Warrnambool to interest everyone from solo travellers to families. There are approximately 34 000 locals based in this destination. 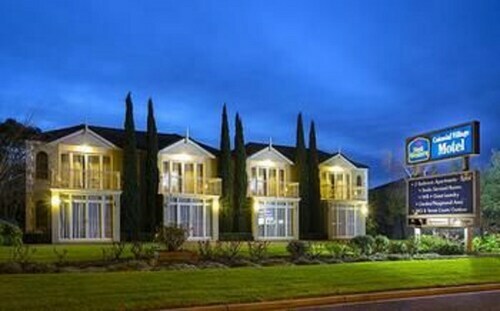 This location is approximately 220 kilometres from Melbourne, the state capital. It's also 16 kilometres from Killarney. Looking for somewhere to take the kids? Head to Lake Pertobe Adventure Playground, a worthwhile family friendly pick in the area. Are you passionate about gardening? Go for a wander through the diverse collection of plants on display at the Warrnambool Botanical Gardens. This spot makes for a great diversion when when you need to chill-out. Get to know the most notable things to do in this area at Warrnambool Visitor Information Centre. Warrnambool Beach is a shoreline in the area. which is loved by travellers. Those who take pleasure in being outdoors should not leave without spending a day at Tower Hill Wildlife Reserve, where Mother Nature won't disappoint. Ensure you take the time to entertain you passion for culture at the Warrnambool Art Gallery. If you're interested in history, a trip out to Flagstaff Hill Maritime Village ought to be at the top of your itinerary. To get a better feel for the lay of the land, Logan's Beach Whale-Watching Platform can be a good spot to make tracks to when you and the children are sightseeing. If you enjoy a round of golf, grab your clubs and unwind at the Warrnambool Golf Club. Need insider tips on must-see attractions in Warrnambool? Check out our Warrnambool travel guide! This family-friendly Warrnambool campground is located near the beach, within a 10-minute walk of Lake Pertobe Adventure Playground and Warrnambool Beach. Middle Island and Pickering Point Lookout are also within 15 minutes. Warrnambool Station is 25 minutes by foot. 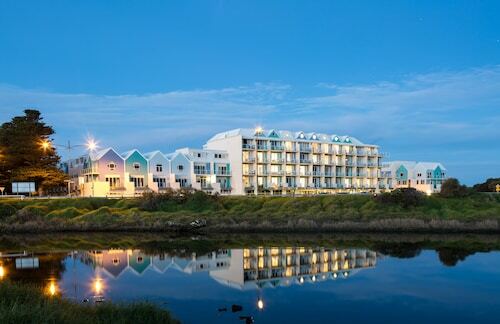 Located in Warrnambool, this beachfront aparthotel is on the boardwalk and within a 15-minute walk of Middle Island and Warrnambool Beach. Lake Pertobe Adventure Playground and Pickering Point Lookout are also within 15 minutes. Warrnambool Station is 25 minutes by foot. Situated near the beach, this motel is 1.2 mi (1.9 km) from Flagstaff Hill Maritime Village and 1.5 mi (2.3 km) from Warrnambool Beach. Logan's Beach and Warrnambool Art Gallery are also within 2 mi (3 km). 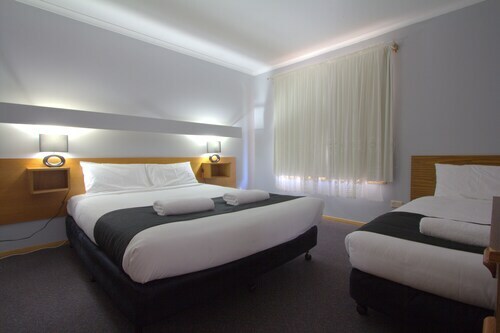 Located in the heart of Warrnambool, this motel is 0.7 mi (1.1 km) from Warrnambool Botanical Gardens and 1.8 mi (2.9 km) from Warrnambool Beach. Warrnambool Art Gallery and Flagstaff Hill Maritime Village are also within 2 mi (3 km). Situated by the ocean, this luxury hotel is within a 15-minute walk of Middle Island and Lake Pertobe Adventure Playground. Warrnambool Beach and Flagstaff Hill Maritime Village are also within 1 mi (2 km). Warrnambool Station is 27 minutes by foot. Located in the heart of Warrnambool, this motel is within a 10-minute walk of Flagstaff Hill Maritime Village and Warrnambool Beach. Warrnambool Visitor Information Centre and Warrnambool Art Gallery are also within 10 minutes. Warrnambool Station is 10 minutes by foot.